Why choose a JohnHart agent over ALL the other agents in the real estate industry? This is the question we ask ourselves here at JohnHart on a regular basis, and it’s a good one! 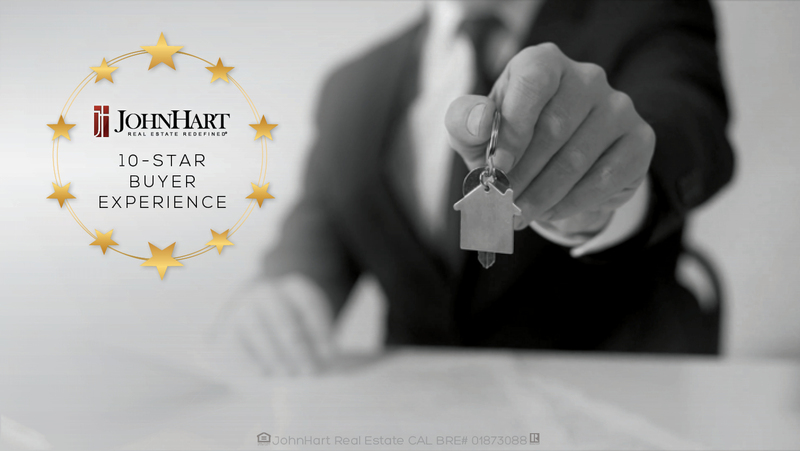 JohnHart excels in all aspects of the real estate experience, from client relations to responsiveness to local expertise to making sure our client feels understood and educated on and through the process. Our top priority, here at JohnHart, is to make sure that our clients feel special and taken care of. Whether it’s the speed at which you want things to run (fast or slow due to relocation, having to sell another property to buy a property, etc) or how involved you want to be in the experience, we are here, with our professional support team, to help you every step of the way. At JohnHart, we believe that empathy is key. Moving is one of the major stressors in life. As anticipated, the ins and outs, the buying and selling, finding a property, packing up all of your belongings and moving somewhere new, is highly stressful. Our job is to relieve and alleviate as much of that stress as possible. Our goal here at JohnHart is to figure out what would make your life easier while providing each and every client a 10-star experience where you feel prioritized, important, special and taken care of. Another important element that we know is important to our clients is options. Our agents want to make sure you feel comfortable and understood when it comes to all aspects of your expectations. Budget, location and style all play a major role in getting you, our client, and us on the same page. Additionally, we know your confidence in our capabilities goes up exponentially if you give us detailed information and we deliver on it the first time. We consider this part of what we do best. We want you to know that we are always available for you. There is nothing worse than a client who feels abandoned or ignored. We also don’t want you to feel like you are bothering or hounding us. We want to make sure that you feel comfortable reaching out to us at anytime and know that we are always available to talk you through any issues or problems or questions you may have and we will communicate with you if there are times that we are not available. We want you to know that efficiency is our top priority. If you have special instructions or needs, we want you to be confident that we will follow through exactly as specified as soon as possible. We know our job and we know how to do it, and we promise that you can be confident in our ability to deliver and not put you in the position to have to chase us down. Part of what makes JohnHart so successful is accommodating and overdelivering on your every need, every time. Also know that we are here to get things done your way. If there are things that need to be fought for on your behalf, we will not leave you to figure it out yourself. It is our policy to be involved in every aspect of this process to lighten your load. Here at JohnHart, we want you to know that we are here to fight for you. If there is work, inspections, roofing, etc. that needs to be done on the property that you want to buy, we are prepared to fight for you. It is not your responsibility to fight for yourself— that’s part of the reason you hired us. We know the business, we know the rules, we are the experts. So know that we are always diligently utilizing our skills, as well as that of our support team, so that you have the best experience and get exactly what you want. Additionally, we know how important it is to be thorough. Here at JohnHart, we know when our job is done. As our client, you should call and say “I need a home— these are my expectations” and we walk you all the way through the front door. That is when our job ends. We understand that there is nothing worse or less attractive than a professional who ends their job early or someone who keeps saying goodbye, thinking that their job is over and then there are 14 different things that still need to be done. This is why we don’t make our clients ask for more help. As I said earlier, we anticipate your expectations and then our job is to overdeliver. We believe this is the foundation of a lasting, mutual respect and long-lasting client/agent relationship, which is what JohnHart is founded upon. We also know how important it is for you to be educated in some of the processes. We are prepared to educate you in a respectful, professional way that makes you feel confident, satisfied and happy. We know what we are doing, but we also know that you need to know some of what we are doing (and what we’re going to do) without having to go to school. We are happy to communicate with you efficiently without overwhelming you with meaningless information that you don’t want, or need, to know. JohnHart agents and staff are also very gifted when it comes to technological advancements and online representation. This means that we are able to communicate with you on-the-go, whenever it is convenient for you, whether it’s during your busy business day or after hours. Our commitment to you is that we will not leave you hanging when it comes to any important communication. We will also communicate promptly with anyone else involved in the transaction on your behalf. We want you to be confident in our technological capabilities. What all this boils down to is trust. You want to trust your agent to represent you, to have your best interest at heart, to give you, in this experience, what they would want for themselves. You want us to make your life easier and relieve some of your biggest stresses and stressors during this hectic, chaotic time. Trust is the most important characteristic in any relationship and no agent can consider themselves successful if they aren’t trustworthy in this industry. You deserve an agent who, constantly and consistently, is putting themselves in your shoes. The agents here at JohnHart focus on giving our clients a complete and satisfying experience and we do that by utilizing our support staff and also employing empathy as our driving force because we know what our buyers are going through and realize that you are in a very precarious position while also trusting us with what will end up being one of the most important decisions of your life. We are here to put you first because your business is our business and we will not rest until you are completely satisfied.